Hi, I am Melissa ... 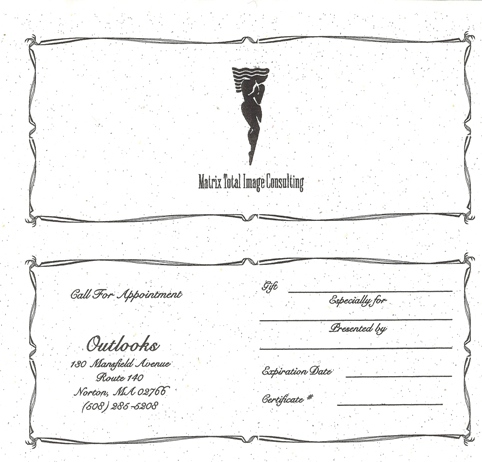 Gift certificates are great ideas for any special occasion. They can be used for a new hair style, hair cuts, getting a perm, facials, pedicures, manicures, or even a massage. So if you are looking to put a smile on someone's face, you have come to the right place. Please click Gift Certificate or call 508-285-5208 to order yours today.